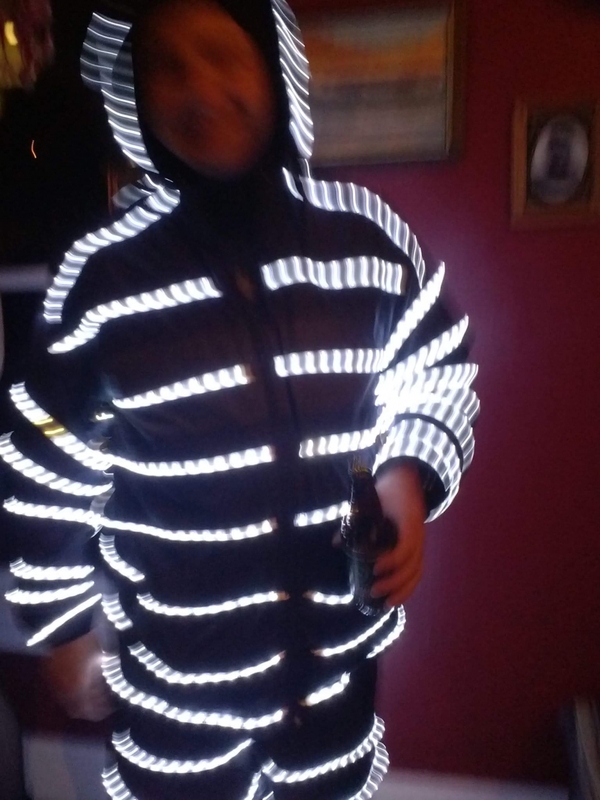 This LED light suit was created for Halloween, 2014, and was developed over a period of 2 weeks. 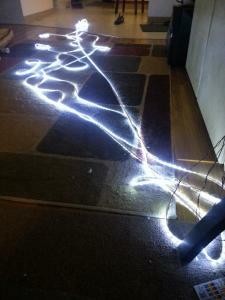 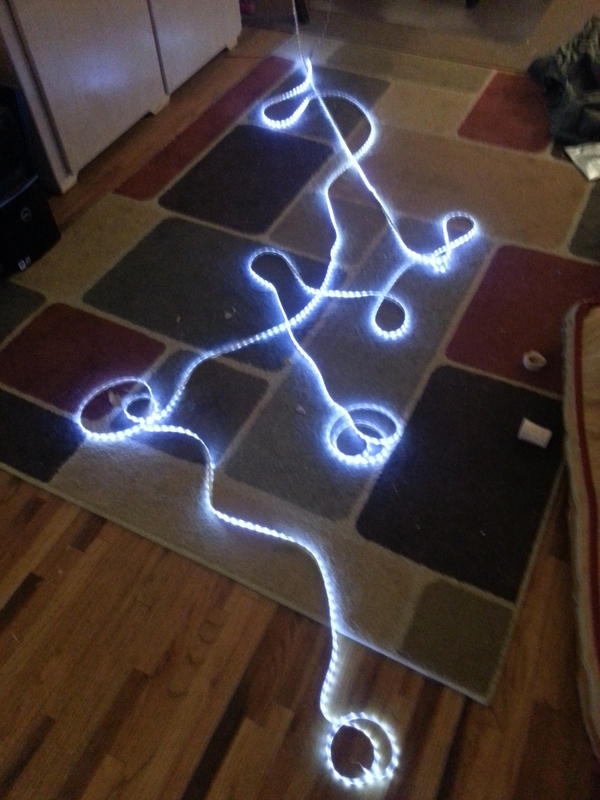 6x 5 meter waterproof white LED strips were used, along with an Arduino Pro Mini, piezo microphone and amplifier, all running from a LiPo battery. 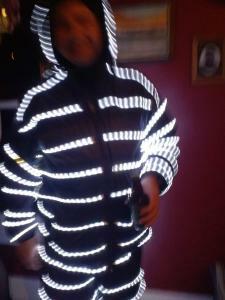 The strips were sewn onto track pants and jacket, and worn with snowboard boots, gloves, and goggles. 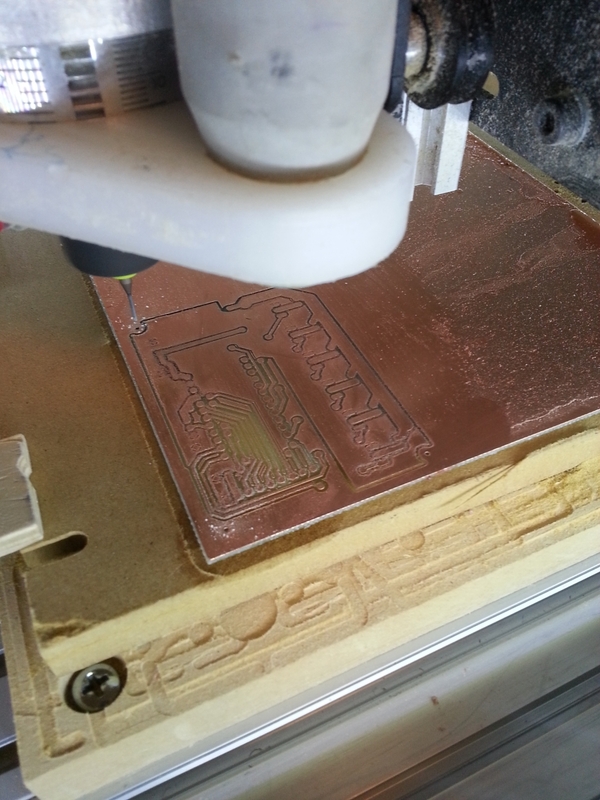 Custom Arduino firmware offered several modes of operation, including sound activated, pulse, steady on, and off. 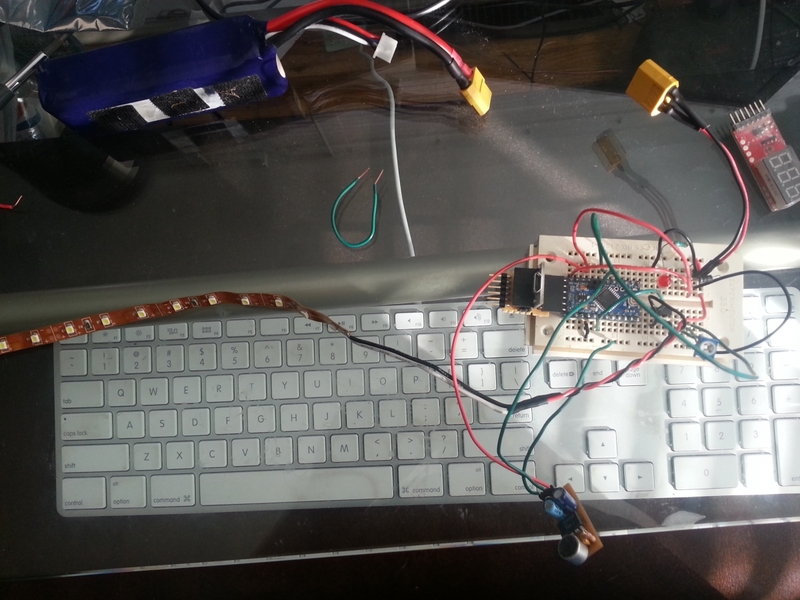 A remote in the sleeve allowed control of mode, brightness, and sound sensitivity. The firmware was created in the Arduino IDE. 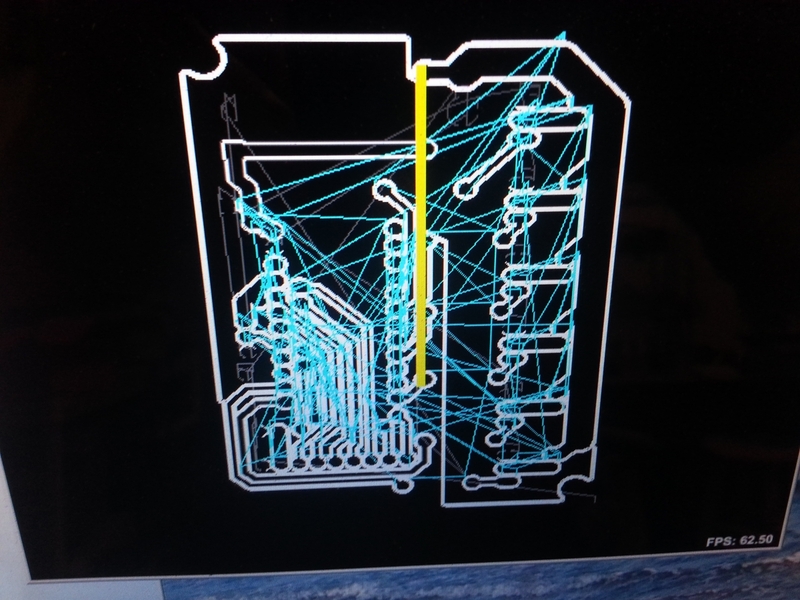 A custom PCB housed the Arduino Pro Mini and 6 Mosfet transistors to drive each of 6 PWM channels at up to 2 amps. 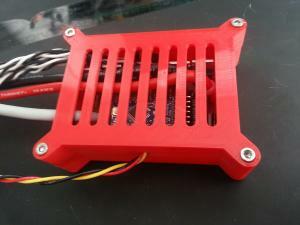 A custom case was 3d printed for the electronics which fit into the front pocket. 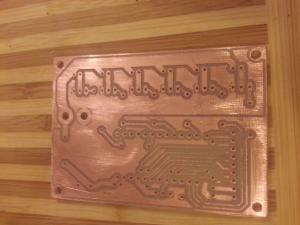 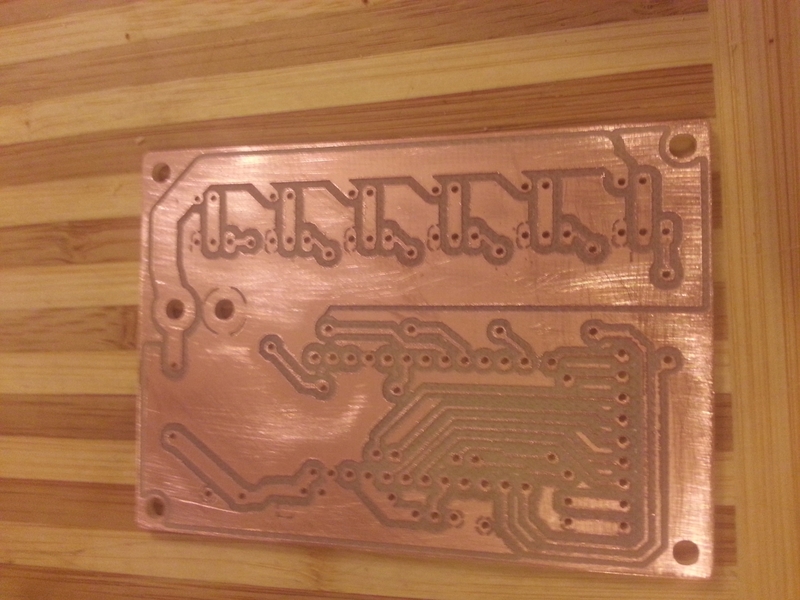 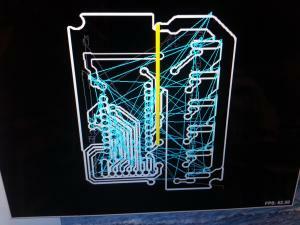 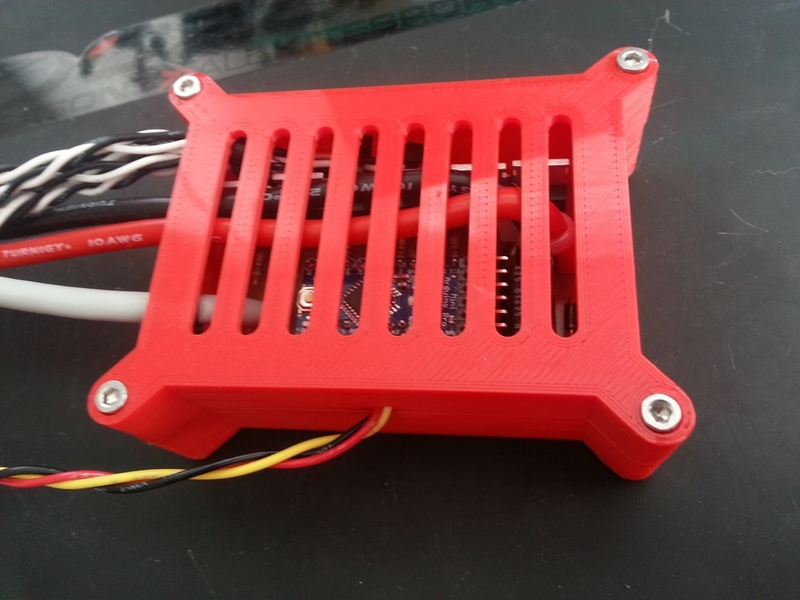 This entry was posted in Uncategorized and tagged 3d Printing, Arduino, CAD, CAM, CNC, Electronics, Halloween, LED on November 1, 2014 by Chris Miller.